2012/05, CPR/Napinka Sub. Mile 47. Telephoto view – looking N.W. 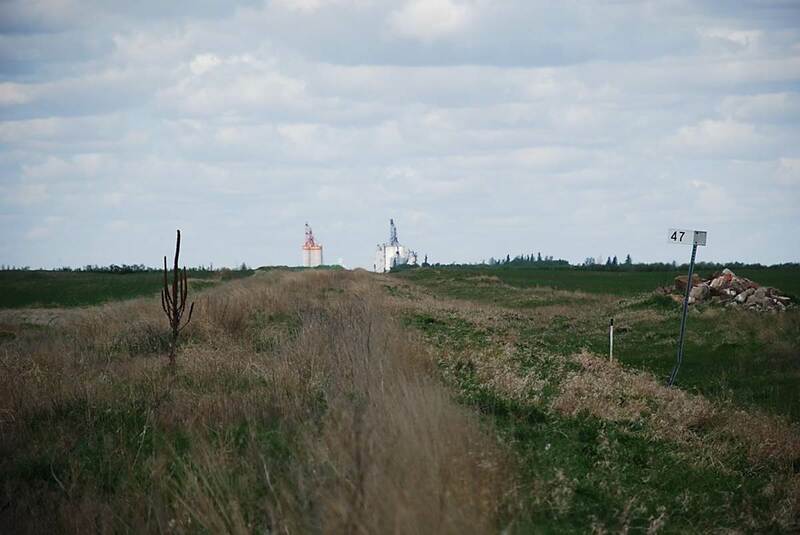 Large corporate grain terminals on the horizon on the rail line at Killarney, MB, in the distance. Corporate take-overs, demolition of local elevators, and centralization of grain delivery terminals are all a part of rail line abandonment. Click on photo for detail. © Text and Photos exclusive copyright of N. Froese.